Wellness can mean more than just exercise. It can be learning how to prepare healthy, delicious meals, or stepping out of your comfort zone in a Zumba class. Perhaps it’s relieving stress in a cycling class, or setting an example to your children about the importance of living a healthy lifestyle. Whatever wellness means to you, Family Wellness can help. Our innovative, wellness focused programs and classes can help you go beyond exercise and help inspire a balanced, healthy lifestyle. 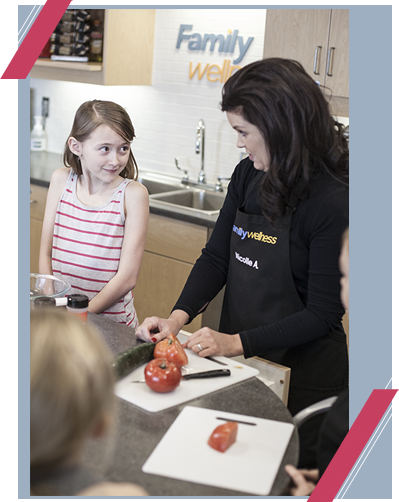 See our wellness opportunities below to help you put together your own wellness plan.